Yu is also well known for his extracurricular activities as a Justice of the Peace. And he does not just solemnise the marriages of his former students. In fact, Yu is so sought-after that he is ranked among the “40 most popular Justices of the Peace” on KiasuBride.com. Prolific in publishing articles in the areas of real-estate appraisal, housing, urban planning and facilities management, Yu has presented many papers at international conferences too. 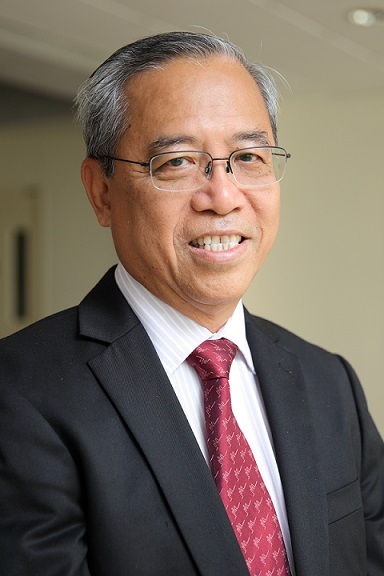 He has served as a member of several government organisations in Singapore, including HDB, the Council for Estate Agencies, the Valuation Review Board and the West Coast Town Council. Yu is also one of the three co-authors of a book released earlier this year titled Singapore’s Real Estate: 50 Years of Transformation, which traces the evolution of the city state’s real estate. He recently led the production of a sleek video for the Department of Real Estate that presents Singapore’s “Smart City” and “Smart Nation” initiatives. The video is now available on YouTube. “As a city state and a global city, Singapore benefits from a greater flow of information and the sharing of ideas, as well as innovation and technological advancements,” observes Yu.